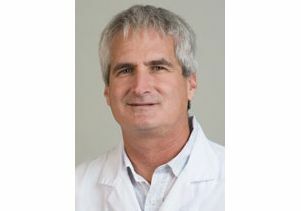 “We have now shown that one way maternal inflammation could result in larger brains and, ultimately, autistic behavior, is through the activation of the neural stem cells that reside in the brain of all developing and adult mammals,” said Dr. Harley Kornblum, the paper’s senior author and a director of the Neural Stem Cell Research Center at UCLA’s Semel Institute for Neuroscience and Human Behavior. In the study, the researchers mimicked environmental factors that could activate the immune system — such as an infection or an autoimmune disorder — by injecting a pregnant mouse with a very low dose of lipopolysaccharide, a toxin found in E. coli bacteria. The researchers discovered the toxin caused an excessive production of neural stem cells and enlarged the offspring’s’ brains. Kornblum, who also is a professor of psychiatry, pharmacology and pediatrics at the David Geffen School of Medicine at UCLA, said there are many environmental factors that can activate a pregnant woman’s immune system. “Although it’s known that maternal inflammation is a risk factor for some neurodevelopmental disorders such as autism, it’s not thought to directly cause them,” he said. He noted that autism is clearly a highly heritable disorder, but other, non-genetic factors clearly play a role. The researchers also found evidence that the brain growth triggered by the immune reaction was even greater in mice with a specific genetic mutation — a lack of one copy of a tumor suppressor gene called phosphatase and tensin homolog, or PTEN. The PTEN protein normally helps prevent cells from growing and dividing too rapidly. In humans, having an abnormal version of the PTEN gene leads to very large head size or macrocephaly, a condition that also is associated with a high risk for autism. “The discovery of these mechanisms has identified new therapeutic targets for common autism-associated risk factors,” said Janel Le Belle, an associate researcher in Kornblum’s lab and the paper’s lead author. “The molecular pathways that are involved in these processes are ones that can be manipulated and possibly even reversed pharmacologically. “In agreement with past clinical findings, these data add to the significant evidence that autism-associated brain alterations begin prenatally and continue to evolve after birth,” she said. The study’s other authors were Jantzen Sperry, Amy Ngo, Yasmin Ghochani, Dan Laks, Manuel López Aranda and Alcino Silva, all of UCLA. Support was provided by the Dr. Miriam and Sheldon G. Adelson Medical Research Foundation, Autism Speaks and the National Institutes of Health (grants P50-HD-055784 and MH65756), and other entities.